Now that Disney Pixar’s new Incredibles 2 is out on DVD and Blu-ray, we can bring the excitement of our favorite super-family into our own home. 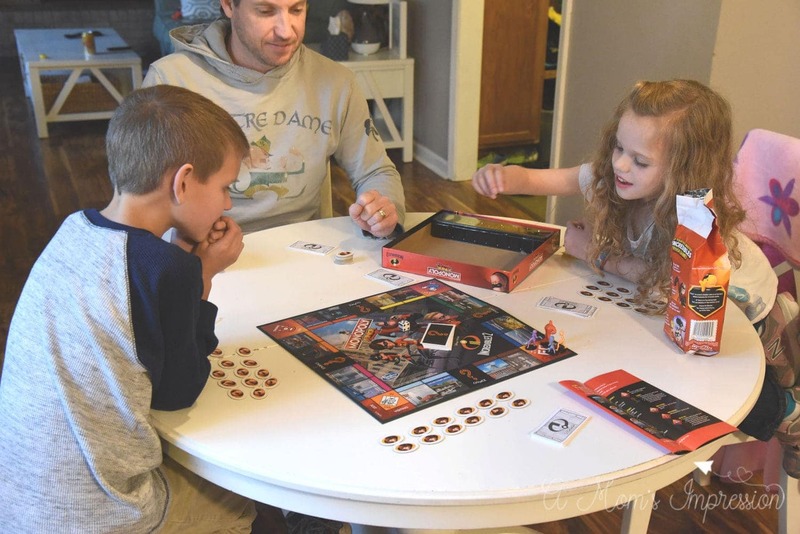 Here are some fun ways to and an “Incredible” family game night. Thank you to Disney and Click Communications for sponsoring this post. It is hard to believe, but 14 years have passed since we last saw Mr. Incredible and his family on the big screen. The original family-friendly, critically acclaimed movie was a huge hit all over the world when it came out. It is crazy, but my children weren’t even born yet. Now that I have a 9-year-old and a 6-year-old, I was so excited when I heard that the sequel, Incredibles 2, was going to be made. We were one of the first ones to see the movie when it came out in the theater and my whole family absolutely loved it. My daughter’s favorite character is Violet (of course) and my son is Dash (of course)! Well, the fun will continue now that Incredibles 2 is out on DVD and Blue-ray on November 6, 2018. We can’t wait to watch all of the action again on our next family movie night, but we are also pretty stoked to see all of the bonus content available. If you instantly bring home Incredibles 2 on digital format, you will get additional exclusives, such as two scene breakdowns and Samuel L. Jackson (the voice of Frozone) discussing his character. The list of bonus material in the other formats seems almost endless. They include 10 deleted scenes, a new Mini-Movie with (my favorite character) “Auntie Edna” Mode, a lesson in animation with Brad Bird and a behind the scenes look at the parents of Pixar discussing the balance of work and family. There are many more features as well such as commentary and the theatrical short, “Bao”. The wonderful, rich world of The Incredibles will be vibrant in our house in the coming weeks! 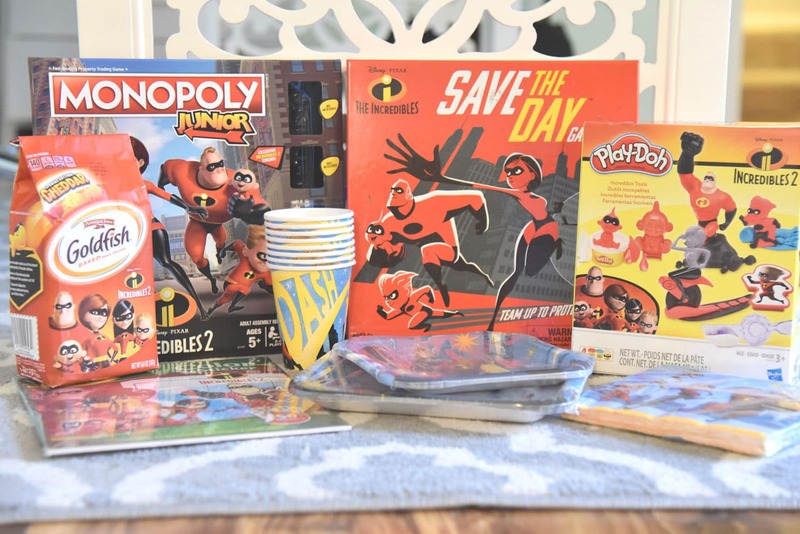 To celebrate this, we decided to have an Incredibles themed family game night. Of course, there are tons of options to make our family game night superpowered. There is a The Incredibles Game called Save The Day. This 1-4 player game for ages 6+ stars you as your favorite member of the Incredible family trying to stave off trouble around Metroville. Each player has their own special ability and you will need to work together to beat the game. There is also an Incredibles version of Monopoly Junior . My daughter LOVES Monopoly Junior and this version features some familiar locales from the movie. Again, you can play as your favorite character and this version of Monopoly is streamlined for those of us with shorter attention spans! Perfect for a family. 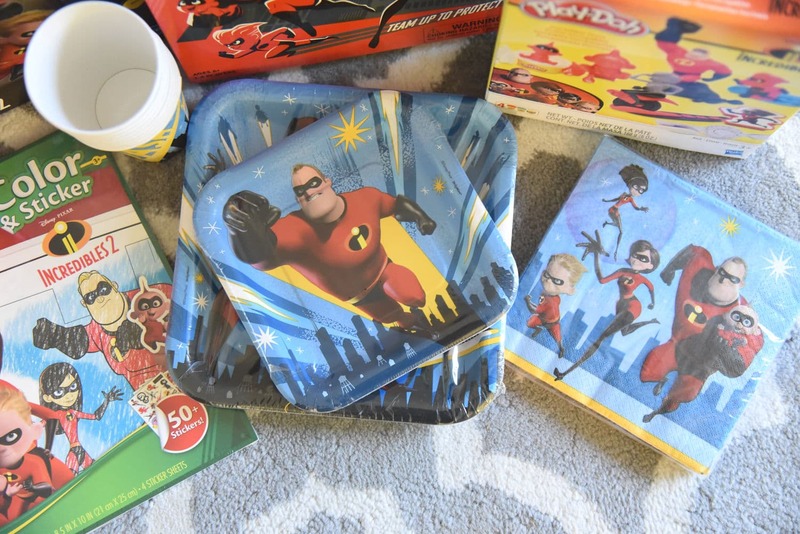 Head to Party City to find some super cute Incredibles plate ware, cups, and napkins . It makes a fun game night even more special! 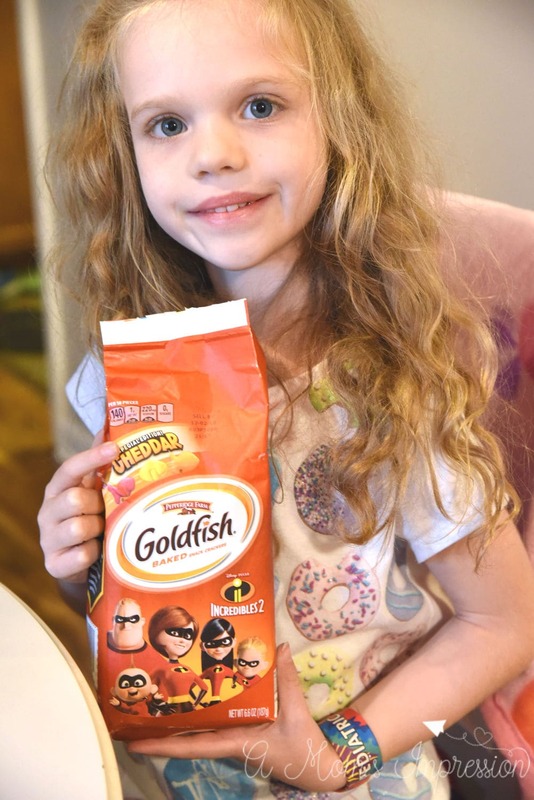 There is even a new special edition version of Pepperidge Farm Goldfish featuring our favorite family. My daughter had her eye on these and has been enjoying them in her lunch as well as when we had our Incredibles family movie night! 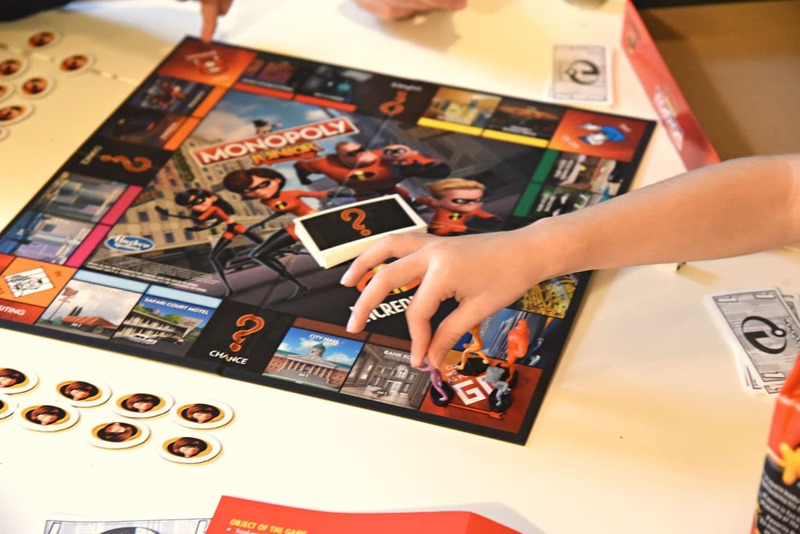 Our Incredibles fun doesn’t have to end on family game night, there are so many other fun activities for the family. This includes The Incredibles Play-Doh set for ages 3+ and a fun color and sticker book from Crayola . It seems like the whole world is joining in the fun! 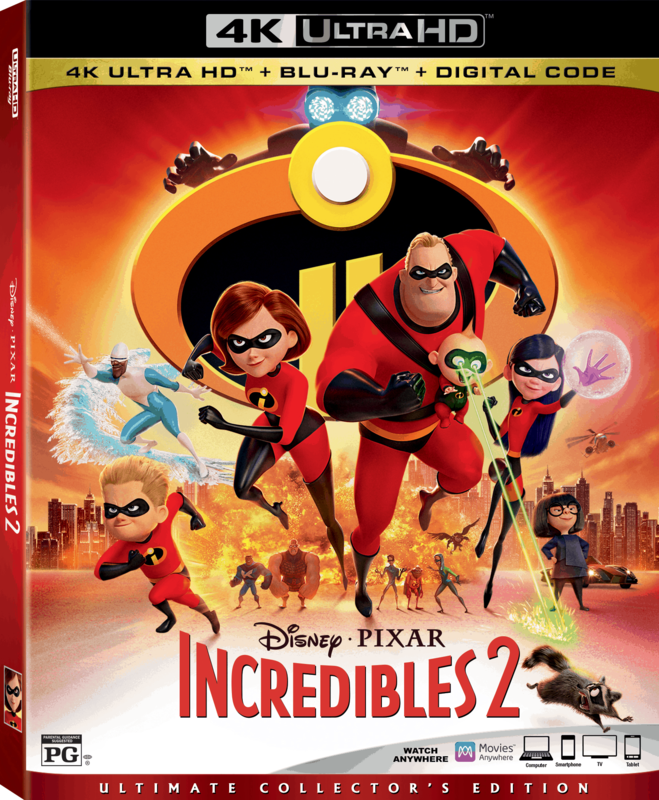 Make sure to run out and get your copy of Incredibles 2 DVD or Blu-ray . This will be the perfect movie for your next family movie night or it will make a wonderful stocking stuffer. Jump into the action this holiday season and make your family fun nights a little more Incredible!